Albania is hands down the country that has surprised me and stolen my heart the most, of all the destinations I’ve been to. Fact. These days, by the time we board the flight to our ‘dream destination’ chances are, Instagram / Facebook / Pinterest / YouTube have already given you a pretty good idea of what your adventure will look like. That incredible sense of discovery and awe is slightly lost now as a result but Albania certainly bought it right back and it was the most incredible feeling. Prior to stepping foot in Albania I actually had no associated picture of it in my head and by the responses I got from people when telling them I was coming here – neither did anyone else. Did my content surprise you? I would have honestly never have even considered Albania as an adventure on my bucket list but now that I’ve been, I’m blown away by the beauty and I cannot recommend it enough. I’m already trying to figure out when I can go back and explore the northern alps. 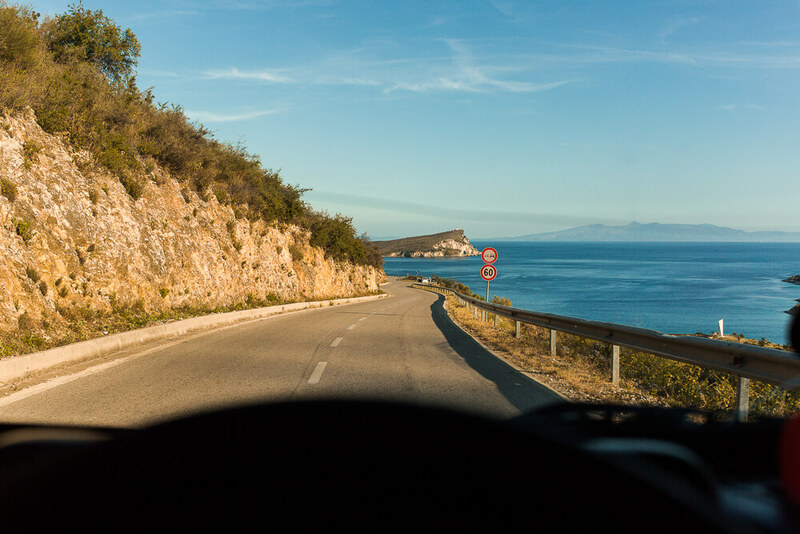 So here it is, part three of our Albania road trip. 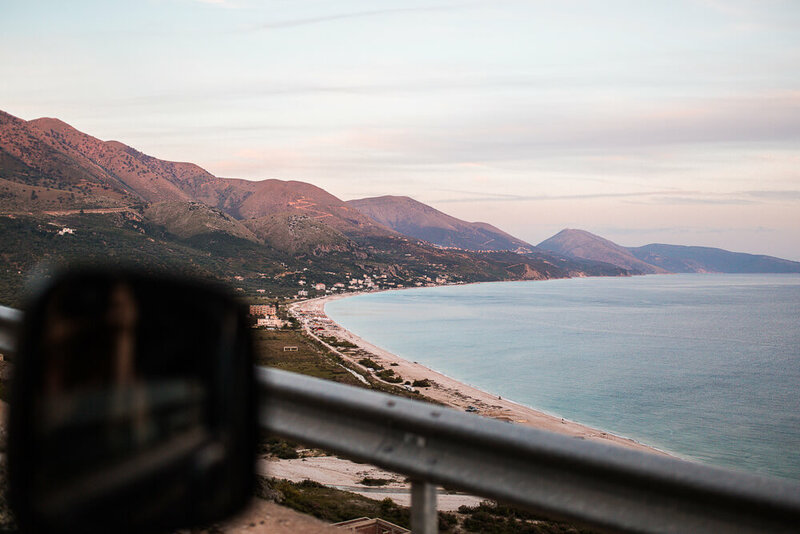 After landing in Tirana, having lunch in Vlöre, driving through the insane Llogara National Park and spending a few days in Dhërmi for Kala Festival it was time to continue down the coast in our jeeps and see what else the Albanian Riviera had to offer. 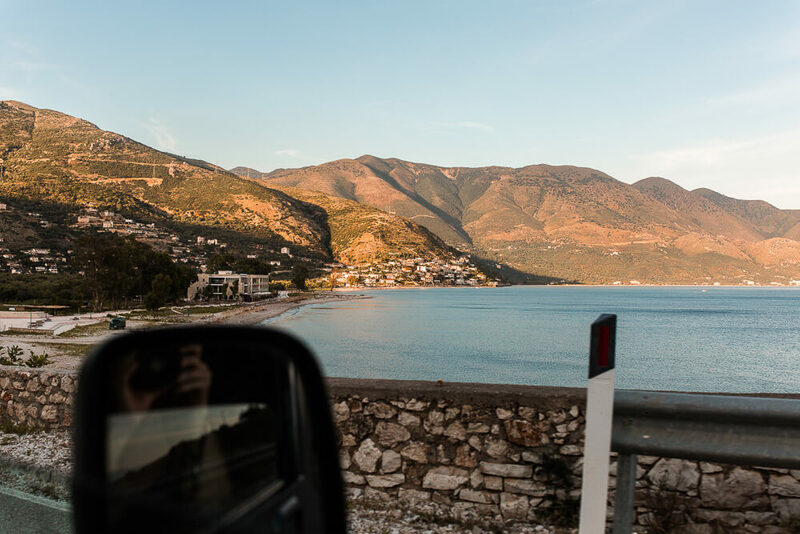 Leaving Dhërmi to head south down the Albanian Riviera marked our first coastal drive and I don’t think any of us were prepared for how stunning the views were about to get. With the jeep roofs down, the music up and arms flailing dances moves left right and centre, the additional of panoramic ocean views were taking us all to another level. No alcohol involved. I would never in my wildest dreams have matched Albania to what we witnessed (you’ll see in a second) and I’d say there was a grin and a half stuck on my face for the next few hours at least. 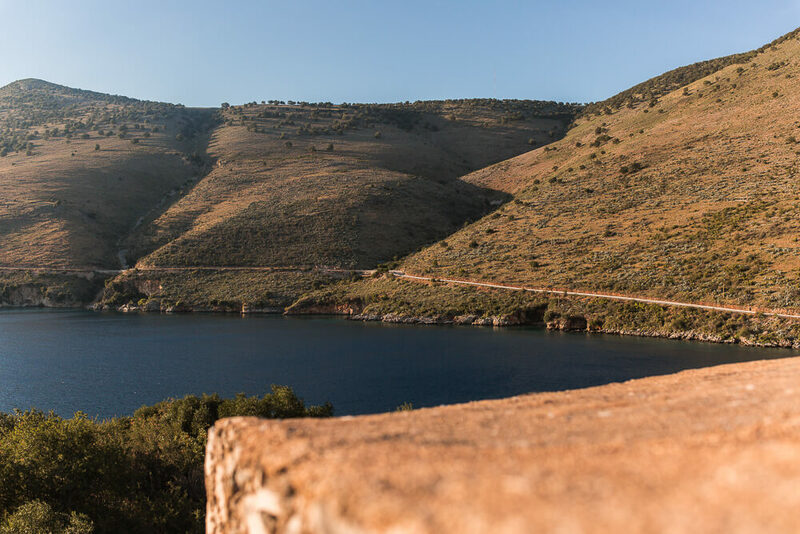 We cruised down the coast from Dhërmi in Jeep convoy stopping off in Himarë overlooking the water for lunch and then in Porto Palermo to explore the castle (100 Lek entry). Top tip: You can park quite freely in Albania and without paying but some of the locals run little car parks (that are pretty much building sites) right in the centre and will charge 2-300 Lek for you to park. Always handy to have cash on you, always. By the time we had devoured another gorgeous three courses of local fish and food and explored the castle, the sun was beginning to set. Always enjoying ourselves a little too much (and taking allllll the photos) we were again behind on our itinerary and had to make a few cuts to ensure we got to our overnight destination, Sarandë, before midnight. One thing we certainly weren’t going to miss out on was Upper Qeparo. The so-called Cinque Terre of Albania. 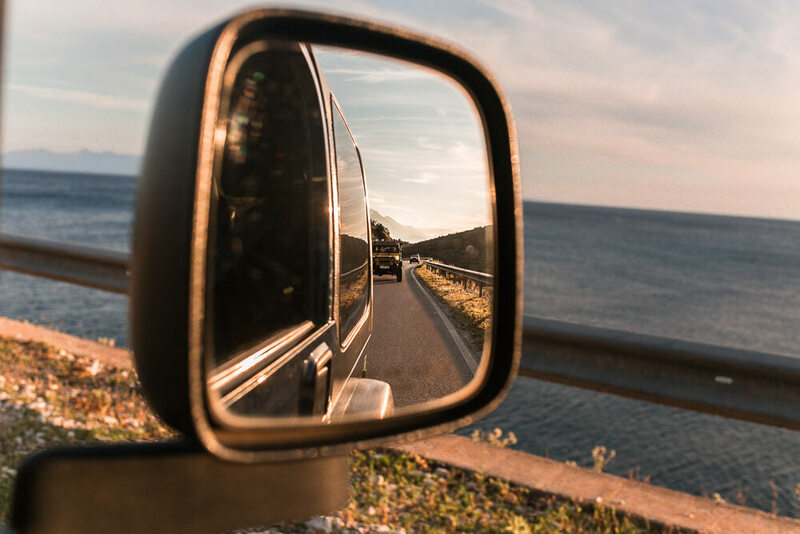 Navigating your way down the coast of Albania is pretty self explanatory. There’s one road and the road is the SH8. If you take the SH8 from Dhërmi you’ll pass all the spots I mention in this blog post but to find Upper Qeparo you’ll need to watch out for a little left turn when winding through Qeparo. The road doesn’t look inviting and it isn’t too obvious (i’d recommend calling upon your Google Maps here) but it’s this exact one that will have you climb the steep roads for 10 minutes to uncover Upper Qeparo. 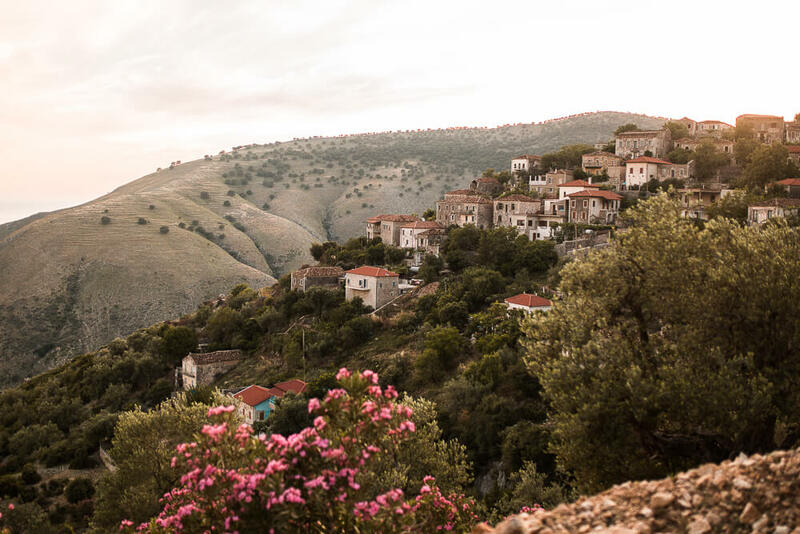 Albania’s coast is seriously filled to the brim with beautiful, untouched, little towns over looking the waters from the mountains, just like those in Italy. I only wished I had more time to meander through the streets and to stay up close and personal with the magic residing here a little while longer. But our overnight stop called and the sun fell beautifully beyond the horizon. We drove the remaining 50 minutes down to Sarandë arriving happily tired just before midnight to our apartments. You’ll have to forgive me because I totally forgot to take a picture of the rooms in our Sarandë apartment which i’m gutted about because the apartments were so spacious, clean and beautiful. I highly recommend them. Absolutely perfect for sharing with a group of friends. You can check out Nefeli Apartments here to make a date / price enquiry. Again, we didn’t have the time to fully explore the town but I had a really good feeling about Sarandë. I noticed there were a lot of quad bike hire shops around so if you’re planning to stay here longer – I’d guess theres some pretty cool paths around to explore. 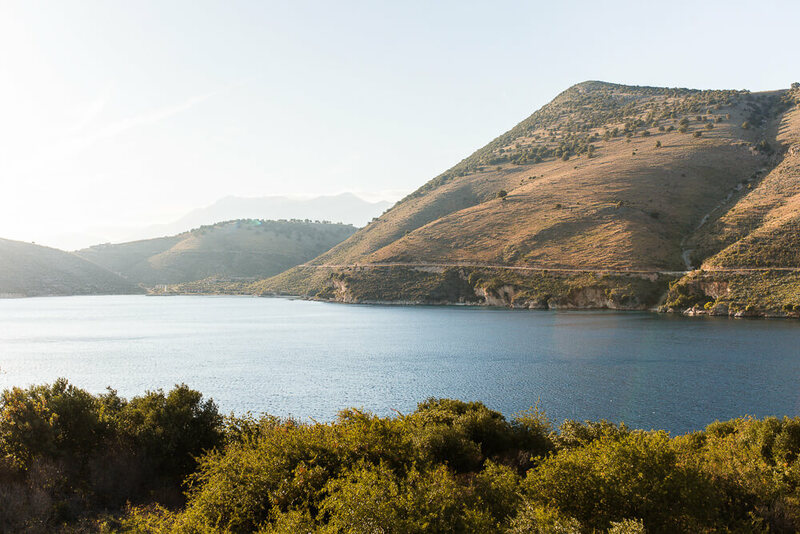 Stay tuned for the fourth and final part of our Albania road trip where we head to the mussel farming centre before climbing back into the mountains to some beautiful ruins and castle accommodations.